Samsung may be skipping MWC 2019 (formerly Mobile World Congress), but there’s plenty of new smartphones in store at the annual trade show in Barcelona. The mobile industry stands on the brink of two major revolutions in phone technology. The first is 5G, which promises to boost internet speeds and make all kinds of tasks significantly faster. The second is the foldable smartphone, a mobile technology that has been rumored and teased for years. It’s finally becoming a reality, as we’ll see a few consumer-ready foldable phones at the trade show. 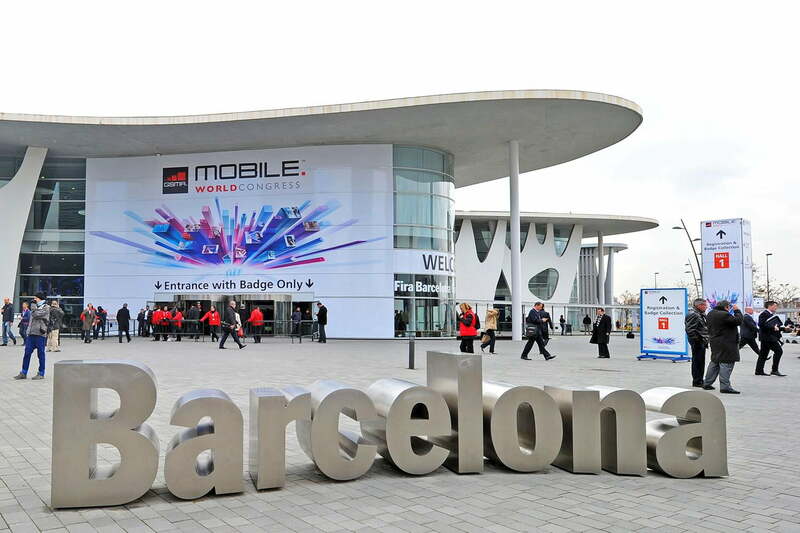 MWC Barcelona 2019 runs from February 25 through February 28, but many press conferences are scheduled for February 24. Here’s what to expect. Samsung’s Unpacked event in San Francisco is scheduled a full week ahead of MWC Barcelona 2019, and its announcements will likely overshadow much of what we’ll see at the trade show. Currently there’s no press conference scheduled from Samsung at MWC. Its first Unpacked event of 2019 is rumored to reveal three models of the Samsung Galaxy S10 range, complete with the new Snapdragon 855 processor from Qualcomm, more camera lenses than you can imagine, as well as a potential fourth model too — the 5G-equipped Galaxy S10 X (though it could come later this year). An updated “sport” version of the Samsung Galaxy Watch — coined the Galaxy Watch Active — may be announced as well, alongside a successor to the Gear IconX earbuds, which could be called Galaxy Buds. Samsung’s foldable smartphone is coming in the first half of 2019, but we don’t think it will make a pit stop at MWC Barcelona. We could see a small announcement for Samsung’s A-series budget smartphones, but there’s not much to go on here so we don’t think it’s likely. LG sent out invites for its MWC press conference, asking us to say “goodbye touch” on February 24. It’s likely some kind of reference for the rumored LG G8 ThinQ, which is expected to come with a 2019-worthy specs bump (including the Qualcomm Snapdragon 855), a 4K display that doubles as a speaker, and a much smaller notch than the LG G7 ThinQ. What does the “goodbye touch” phrase mean? We haven’t heard much about this in leaks, but it’s possible LG is incorporating an air-gesture navigation system into its phones. LG could also show off its 5G smartphone, which is made in partnership with Sprint and expected to launch in the first half of 2019. New rumors suggest this phone could be the LG V50 ThinQ 5G, which means we could see a G-series and a V-series phone at MWC. There’s also a solid chance we’ll hear something about LG’s foldable smartphone, which was originally rumored to debut at CES 2019. Google has historically avoided announcing new hardware at MWC, opting for software announcements instead. Last year saw the release of Android Go, and previous years have seen Google Assistant updates, so we’re expecting to hear some news at the show though there aren’t a ton of rumors just yet. But Google could throw a curve ball this year. 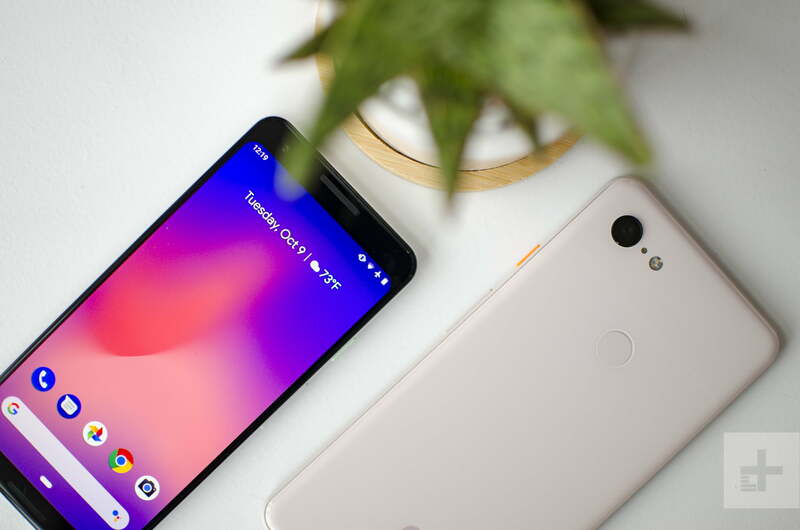 Rumors and leaks about a mid-range variant of the Pixel 3 — called the Pixel 3 Lite or Pixel 3a — have been steadily rising these last few months. After the disappearance of its mid-range Nexus phones, two Android handsets built by Google at a lower price point would be very welcome indeed. Huawei has confirmed it will show off a 5G-capable device at MWC. Even better, it will have a foldable screen. That’s right, Huawei is going to show off a foldable 5G smartphone at MWC. It will likely have Huawei’s very own 5G chipset, and the phone itself may go on sale in the summer. Don’t expect this device to be sold in the U.S. though, as the company has hit several obstacles in trying to enter the market. 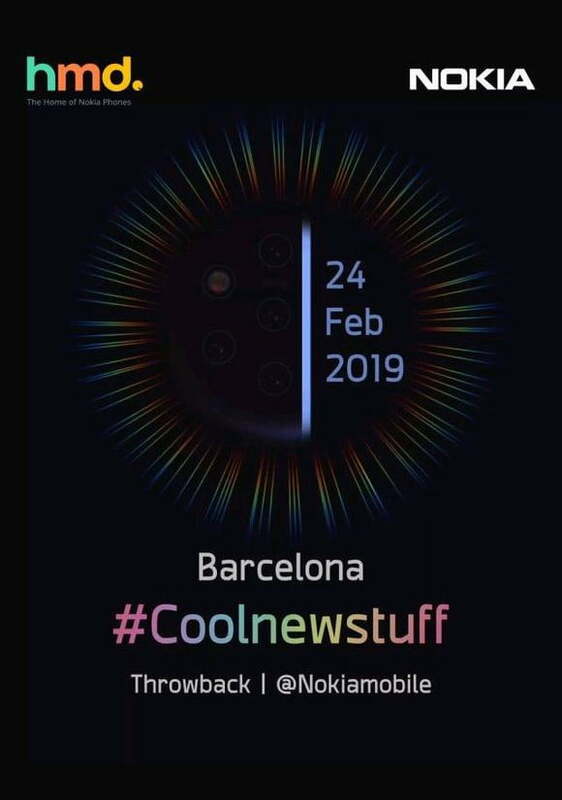 Sony will be making an announcement as it has sent out invites for a press conference at MWC Barcelona. Our money is on the reveal of Sony’s latest flagship, the Xperia XZ4, which is rumored to come with the powerful Snapdragon 855, three camera lenses on the back, and reduced bezels. It’s bad news if you’re a fan of smaller smartphones though, as Sony said it’s likely done with the Compact-range of its flagships. We’re not quite sure yet what we’ll see from Motorola and its parent company Lenovo at MWC. Motorola has historically unveiled the Moto G-series devices at the show, but that could change this year with the potential launch of these budget phones in early February at an event in Brazil. That leaves a potential update on the availability and release of the 5G Moto Mod, which was announced last year alongside the Moto Z3. But the more anticipated announcement is the launch of a foldable phone, in the name and style of the original Moto Razr. 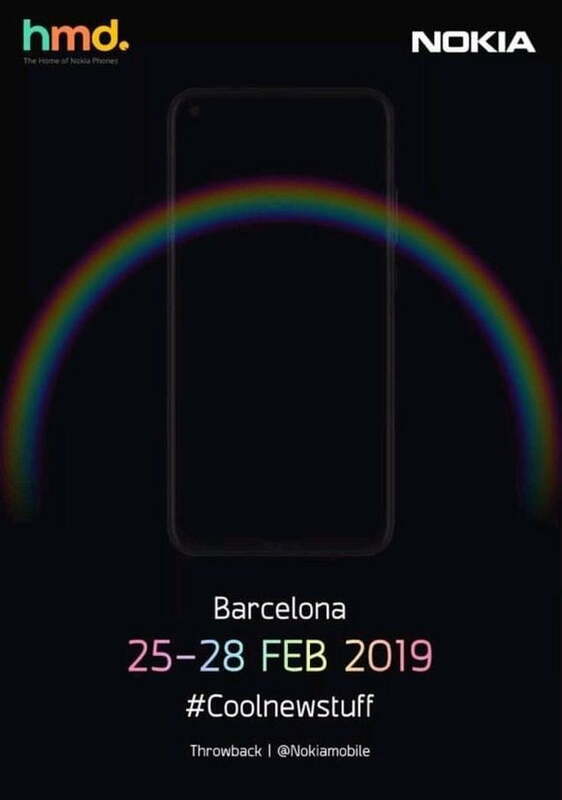 It’s unclear if we’ll see this at MWC 2019 though, as we haven’t yet received invites for an event. HMD has already announced three of its existing devices arriving on carriers in North America — a major step for its expansion into the U.S. — but we can be sure to see new Nokia phones at HMD’s press conference at MWC 2019. The long-awaited Nokia 9 PureView is a shoe-in, as leaked posters allege HMD’s new flagship phone will be unveiled on February 24. It’s a bizarre design thanks to five camera lenses on the rear, and it’s sure to turn heads when shown off. But it might not be alone, as the second leaked poster appears to show another phone. The budget Nokia 6.2 is likely, as it’s also to arrive in early 2019, and it may have a hole-punch display. HMD hasn’t gone a year without announcing a new retro-fueled feature phone; MWC 2017 saw the Nokia 3310 refresh, and 2018’s MWC had the Nokia 8110 banana phone. We may not see one this year, but don’t discount a surprise showing — especially with “throwback” being so prominent on the posters. OnePlus isn’t likely going to bring the OnePlus 7 to MWC 2019. The first OnePlus phone of the year tends to arrive in May, as OnePlus historically has never announced a phone at the show. But the company may show off its 5G phone. OnePlus has been talking about this device for some time now, and while we expect it to show up around the same time as the OnePlus 7, the company may attend the trade show to build some hype. This phone is may come with similar features as OnePlus’ next phone, but you can expect it to be more expensive with a possible price of $850. There hasn’t been much news from HTC regarding its mobile products, but HTC itself said it will show a device off at the show. What could the mystery phone be? While a HTC U13 is unlikely given the dearth of leaks and rumors about the device, some whispers suggest HTC is planning to release a new model of the HTC U12 Life with 6GB of RAM and 128GB of storage. A software-based announcement seems more likely. HTC has a stall specifically for “DeepQ”, a deep learning A.I. platform tied to HTC’s research. While there aren’t many rumors to be had, Asus has generally shown off phones at MWC. Top of the list for this year is the successor to the 2018 Asus Zenfone 5 — the Zenfone 6. Unlike the Zenfone 5, which shamelessly copied the iPhone X, the Zenfone 6 may break new ground for Asus with a tiny teardrop notch. But it’s not your usual notch, as it may be offset to the right side of the phone’s screen. Otherwise, there have been rumors of another Zenfone in the works — the Asus Zenfone 5 Max — but we haven’t seen much in the way of more substantial leaks, so don’t bank on it yet. TCL Corporation, which makes Alcatel phones and licenses the BlackBerry brand name, has announced phones at MWC before like the BlackBerry Key2 and KeyOne, so we wouldn’t be surprised to see the company announce a successor this year. But we’ve heard nothing about what’ll likely be called the “Blackberry Key3,” which makes us wary about an announcement at the show. The company also already told Digital Trends it isn’t planning on releasing a 5G smartphone in 2019, so there’s a chance we won’t see anything new at MWC at all. Honor has only just revealed the Honor View 20, so it’s likely the company will be taking a breather during MWC 2019. Some have posited the idea the Honor 11 could make an appearance, but it seems unlikely Honor would upstage its excellent new mid-range phone with a new, similarly-priced phone. Like Oppo, Xiaomi spent last year expanding into new markets, so it’s likely the Chinese company will march into MWC intending to show off new stuff. A deleted tweet from leaker Ben Geskin states Xiaomi is intending to show off some goodies on February 24. The 5G version of the Mi Mix 3 seems likely, and so does more of its folding phone. Xiaomi has also been making waves with improvements to its in-display fingerprint scanners, so it might be worth keeping an eye out for that. While Oppo tends not to show too much of its tech in the West, that’s likely to change this year. Oppo recently entered the U.K. market, signaling it’s ready to start taking other markets more seriously. According to rumors, Oppo intends to show off its folding smartphone at MWC 2019, so keep an eye out for it. There are also leaks suggesting the company may show off its new 10x telephoto smartphone zoom technology as well as a new in-display fingerprint scanner in an “innovation event” on February 23, just before MWC starts. Vivo loves to show off new prototypes at MWC, and this year we’re being treated to more of the Vivo Apex 2019. This beautiful and minimalist phone cuts out many of the usually required ports — including USB ports, SIM trays, buttons, speakers, and the front-facing camera — but also comes with an in-display fingerprint scanner that spans the entire screen. Vivo is one of those names that leads phone tech development in certain areas, so its always one to watch. ZTE had a rough 2018, thanks to a protracted legal battle with the U.S., so it’s going to want to get 2019 off to a good start. There are few rumors out there about what ZTE is planning at MWC, and nothing points to a flagship smartphone. We’re more likely looking at announcements in the company’s mid-range Blade range. ZTE was one of the first manufacturers to put out a foldable phone (though without a flexible screen), so it might flirt with the idea of showing off some improved folding tech too. “5G” is likely to be the word on every smartphone manufacturer’s lips this MWC 2019, and for good reason. 5G — or fifth generation — is the next major leap in mobile network technology, and it’s set to boost your download speeds while you’re out and about. MWC 2019 will be a major platform to show off what 5G can do, because the first phones capable of working with 5G networks will be unveiled. However, keep in mind that if you end up buying a 5G smartphone, it will only be 5G ready — you’ll need to wait for carriers to complete their rollout of 5G networks, and that will take a few more years. Expect to see companies behind 5G networking technology spreading the good word too, like Ericsson and Qualcomm.